Just when you think you have these guys figured out, they flip the script with their third album. Fans have been eagerly awaiting for this release and now that they have it they may not know what to think. Trading in their chaotic sound and unstable vocals in exchange for mellow songs with a sweeter sounding Matt Shultz, this record makes you want to dance rather than lose your mind in the mosh pit. It sounds nothing like their previous releases, yet the band made sure you didn’t mind too much. Just as with their first two albums, there isn’t a moment here you want to miss. Every song is great and when you’re listening to it, you’re not concentrating on how different the sound is, rather you can’t get over how amazing the tracks are. The opening song “Spiderhead” introduces the listener to the sound they’ll find on this record. With the unpolished sound and the ringing guitar riffs it has a vintage quality to it, like something you would expect to hear in the 70’s. This is also where you can hear Matt change up his vocals as he pulls off some falsetto here, but the guys make sure their mark is made with weird, cynical lyrics that permeate most of their songs: “I think your mother wants me dead/say you wanted to/I am a schizophrenic man.” Clever and snarky lyrics run throughout the songs on this record. “Come a Little Closer” is on the mellow side of things with soft, relaxing music and soothing vocals from Matt. With the singing style and the guitar riff it has a twinge of psychedelic sound, which was found mostly on their debut. It’s a song that may have shocked some fans, but the more you hear it, the more you fall in love with it. Plus, it’s catchy; you can’t help but sing along whenever it comes on. “Telescope” is another really soft song with muted chimes and guitars. For some reason it makes me think of the music from Rugrats whenever I hear it. Either way, it’s still a great song with a bridge that finds Matt sounding like a 70’s slam poet. The frantic pace of the music and the trippy vibe of the lyrics grabs your attention as Matt sings “I can feel it my teeth/and it’s driving me mad.” There’s so much going on with the music that you can’t even keep up with it, much like some of their older songs. This is where Shultz really lets himself go and lets his wild vocal style shine through. The best part here is when everything slows down making you think the album has moved on to the next song. The sly trumpets come in while Matt again performs a trippy poem that seems to have been done in one take. It’s the weirdest song here, but it proves that the guys haven’t abandoned their previous sound altogether. The rest of the songs here are just as amazing. “Take It or Leave It” has this weird 80’s vibe that makes you want to dance and sing along, while “Halo” has a playful guitar riff that jumps around and really grabs your attention. The way Shultz sings “ahhh” after each line is addictive for the upbeat track. “Hypocrite” has some more mellow music, but it also has horns come in during the verses that gives it this ska feel. It’s another catchy song with Matt sounding as sweet as ever when he sings “You call me baby blue/for all the evil schemes I pull.” He also howls “aaaahhhooooo” towards the end making him sound like a lone wolf. The album closes with the bittersweet and soft “Cigarette Daydreams,” which sounds similar to “Flow” from their second release. Just as with that song, this one shows there is a softer side to the band. It’s a great way to end the amazing album that leaves the listener wanting more. Overall, the album gets 9/10. Fans of the band’s previous albums may not be used to the softer sound they take on here, but it’s something that will grow on them. While the crazy, insanity of their previous songs is missed, it still doesn’t change the fact that this is a great album. 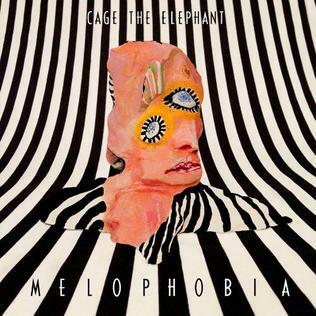 It shows that Cage the Elephant are not afraid to evolve their sound and take risks with their music. It’s truly an amazing album and maybe even their best so far.